Cities artist Sabine Welz has brought her motifs in a colorful design on porcelain cups, which they produce high quality in a German porcelain manufactory in Thuringia. The combination of simple form and design in Pop Art style make them something very special. 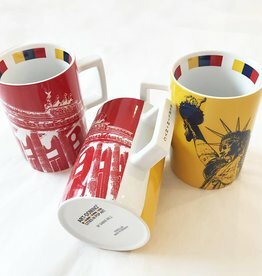 So far there are ART-DOMINO® CITY-MUGS from a total of 30 cities: Amsterdam, Barcelona, ​​Berlin, Bremen, Copenhagen, Dresden, Dusseldorf, Frankfurt, Hamburg, Cologne, Lisbon, London, Lübeck, Mainz, Munich, New York, Nice, Paris, Passau, Potsdam, Rome, St. Tropez, Stuttgart, Sydney, Sylt, Trier, Ulm, Weimar, Vienna, Würzburg and Zurich. More to come. Porcelain city mug with the motives Reichstag dome + Brandenburg Gate in Berlin. Porcelain city mug with the motives Brandenburg Gate + TV Tower in Berlin. 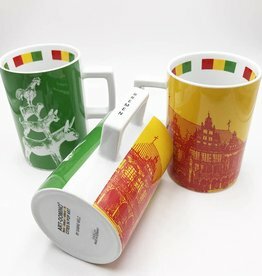 Porcelain city mug with the motives Brandenburg Gate + Berlin Bear in Berlin. Porcelain city mug with the motives TV tower + Brandenburg Gate in Berlin. 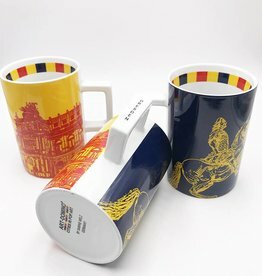 Porcelain city mug with the motives Brandenburg Gate + Olympic Stadium in Berlin. Porcelain city mug with the motives Reichstag dome + gold elf in Berlin. Porcelain city mug with the motives Berlin Cathedral + Gendarmenmarkt in Berlin. Porcelain city mug with the motives Berlin Bear + Kurfürstendamm in Berlin. 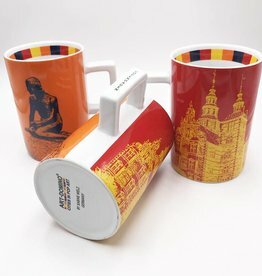 Porcelain city mug with the motives Brandenburg Gate + German Parliament in Berlin. Porcelain city mug with the motives Leaving American Sector + Berlin Bear in Berlin. 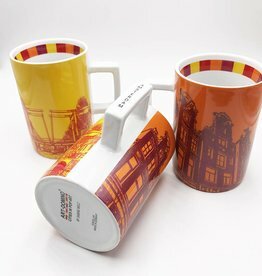 Porcelain city mug with the motives Brandenburg Gate + radio tower in Berlin. Porcelain city mug with the motives Kurfürstendamm + Memorial Church in Berlin. Porcelain city mug with the motives Ground cover and Eastsidegallery in Berlin. Porcelain city mug with the motives TV tower + world clock in Berlin. 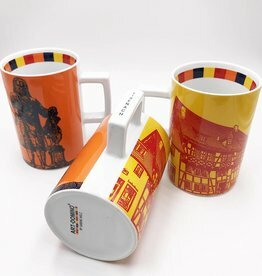 Porcelain city mug with the motives Canal houses + Magere Brug. 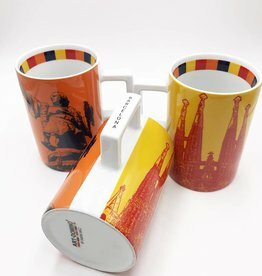 Porcelain city mug with the motives Sagrada Familia + Columbus column in Barcelona. Porcelain city mug with the motives Brandenburg Gate + statue of Liberty. Porcelain city mug with the motives Town Hall + Town Musicians (Bremer Stadtmusikanten) in Bremen. 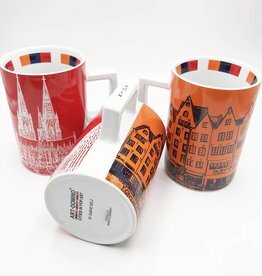 Porcelain city mug with the motives Martinswinkel + Cologne Cathedral in Cologne. Porcelain city mug with the motives Little mermaid + castle Rosenborg in Copenhagen. Porcelain city mug with the motives Semperoper + Goldener Reiter in Dresden. Porcelain city cup with the motifs of the Wartburg and the Luther monument in Eisenach. 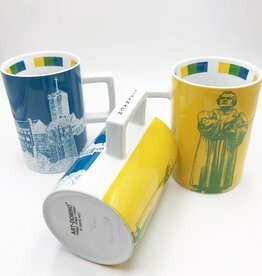 Porcelain city cup with the motives of the Lutherhaus and the Bach monument in Eisenach.